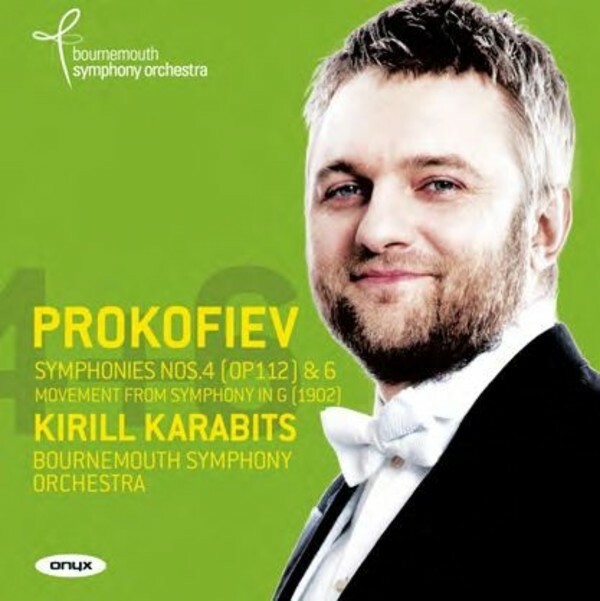 The last volume of the critically praised Prokofiev Symphony cycle from the Bournemouth Symphony Orchestra under its music director Kirill Karabits. Their recent performance at the BBC Proms of the 5th Symphony was described by The Independent on Sunday as "one of the hits of the summer". This final CD contains the composer�s earliest attempt at a symphony, written in 1902 at the age of just 11. The surviving movement receives its world premi�re recording on this disc. The revised and enlarged version of 4th symphony from 1947 is coupled with the daunting and emotionally charged 6th, which to some represents the greatest of the seven symphonies. "Each of us suffers from wounds that cannot be healed" said the composer of this work to his biographer. Composed during a period of serious illness, the �death sentence� or irregular heart beat depicted by the horns in the opening movement are as striking as the rhythm of Mahler�s 9th, also composed during a similar illness that would soon claim its creator.